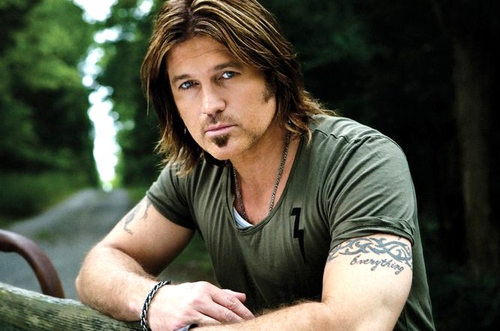 Almost twenty-two years have past since Billy Ray Cyrus skyrocketed to the top of the Billboard charts with “Achy Breaky Heart,” but if RadarOnline is to be believed there may be an updated version of the iconic track on the way in 2014. According to a story that has been developing since the dawn of the new year, Billy Ray Cyrus is allegedly working on a hip-hop remix for “Achy Breaky Heart.” The plan was originally teased by talk show host Larry King over Twitter on December 31. RadarOnline did some digging into the story and claim to have contacted a model who was recently recruited for the track’s new music video. She tells the online publication the clip is set to shoot next month, but does not know when the actual track will be released. She has worked with Chris Brown and similar urban artists in the past. Though this move will no doubt surprise many readers, it’s not exactly a stretch to think the success Cyrus’ daughter Miley found through leveraging urban music may have influenced Billy’s latest PR stunt. What do you think of this development? Comment below and let us know your thoughts, then follow UTG on Twitter to guarantee you never miss another update.